Welcome to Primodent Studio, INC. A dental laboratory that not only strives for perfection when it comes to customer service, but accomplishes it. At Primodent Studio, we proudly stand behind our commitment to customer satisfaction. We are thrilled to bring our dedication to quality and service into our relationship with our clients. Our lab offers a personalized service to your unique and specific requirements. Each of our products goes through a stringent quality control process. We specialize in fabricating our restorations from only top quality materials in accordance with the highest industry standards. All of our products are produced in our studio by extremely talented CDT licensed technicians. We have fused the precision of modern technology with the art of hand created products to deliver a tailored, exceptional, and customized experience for our clients. Your patients are our patients, so we understand the need for a personalized service to meet your specific requirements. We also provide you with case planning for your complicated and comprehensive cases as well as custom finish and shade matching for our local clients, upon request. We invite you to our lab to experience the benefits of our full line of esthetic restorations. We welcome new accounts and would like to thank you for allowing us to serve you. 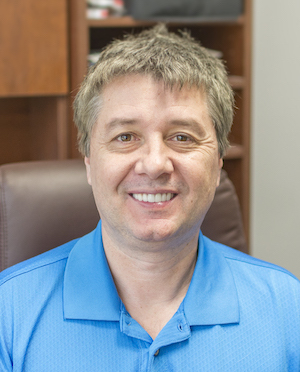 George started his career in dental technology right after high school in 1983. Coming to the United States in 1995, he knew every aspect of the work, but felt the need to go back to school and fine-tune his techniques and terminology. He graduated from Pasadena City College in 1998 in the Dental Technology Program, at the same time becoming a Certified Dental Technician in Crown and Bridge Discipline. After working in a few small labs and managing a large lab, he co-founded Primodent Studio in 2009. He is very passionate about implants and complex rehab cases, and incorporates all of the digital capabilities Primodent Studio has to offer. Starting with a two-person operation, he has grown Primodent Studio ever since, adding various technology staff. 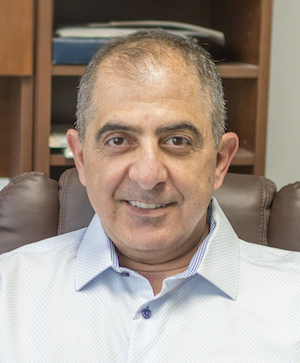 After graduating from Pasadena City College’s Dental Technology Program in 1997, Krassi quickly worked his way up, becoming one of the top dental technicians in the industry. He specializes in all stages of cosmetic restorations, including: veneers, implants, and full mouth reconstructions. His delicate work has gained him many positive feedbacks from his dentist clients nationwide. As co-founder and co-owner of Primodent Studio, he is dedicated in developing the best dental products Primodent can provide, and continuously ensures its highest quality.